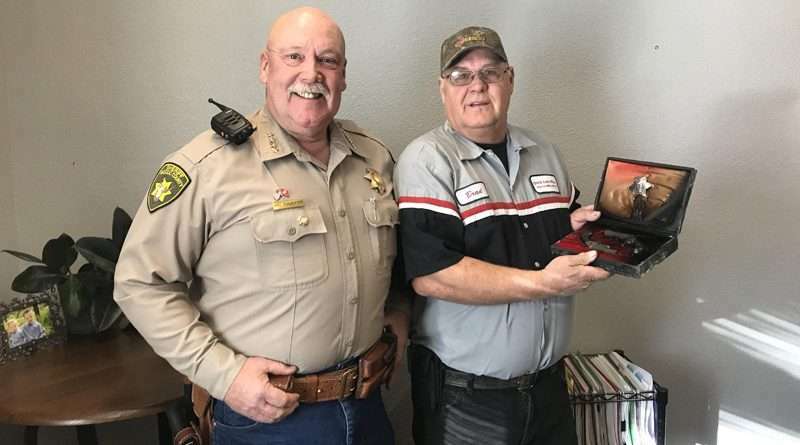 The Modoc County Sheriff’s Posse was able to send seven members last week to help with recovery efforts at the Camp Fire in Paradise, California. Brad Williams stopped by the home of his brother and sister-in-law Don and Roxie Downie, to see if there was anything he could salvage for them. 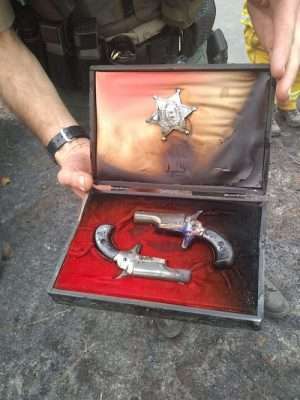 This badge and two pistols were recovered by Brad Williams from his brother’s smoldering safe after the Camp Fire burned though the neighborhood. 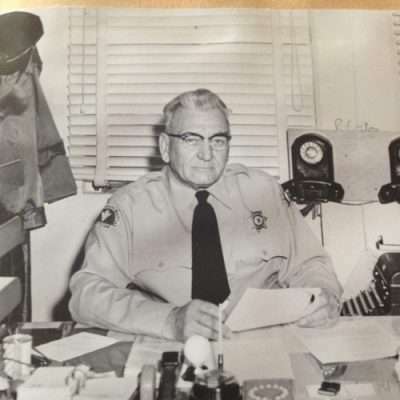 The badge and the pistols belonged to his grandfather, Archer Johnston, who received them when he retired as the sheriff of Victorville, California. In the ashes, Williams was able to pull a smoldering safe from the rubble of his family’s home. A strike team from Lebanon, Oregon was ending their day, when Williams asked if they could help extinguish the safe to see if any of the contents inside survived. “I am forever grateful to these Lebanon firefighters,” Williams said. “They pried the safe open, and I was almost afraid to look. Everything inside was burned except one small box. I grabbed the box not even thinking about it being hot and opened it up. It’s hard not to be emotional about it. 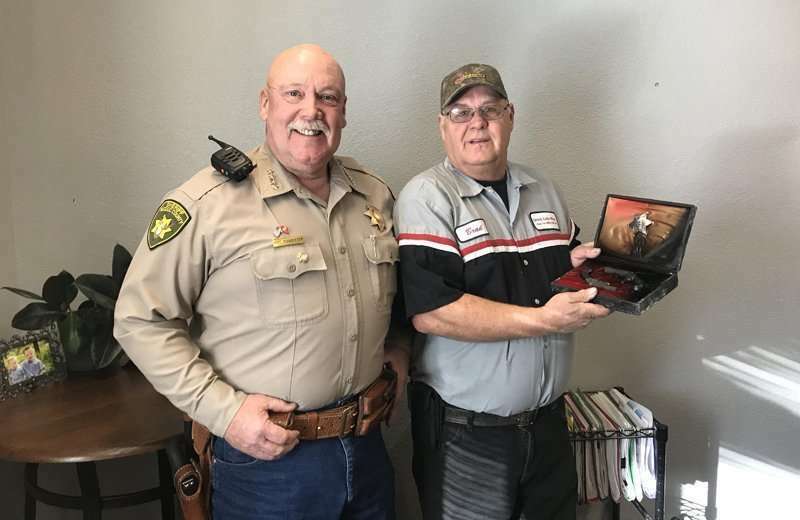 The box contained two small pistols and a badge that his grandfather — Archer Johnston — was given when he retired as sheriff of Victorville, California. Archer and Bealuh Johnston lived above the jail in the 1920s. There, they raised three children — Betty, Mary Ellen and Johnny.